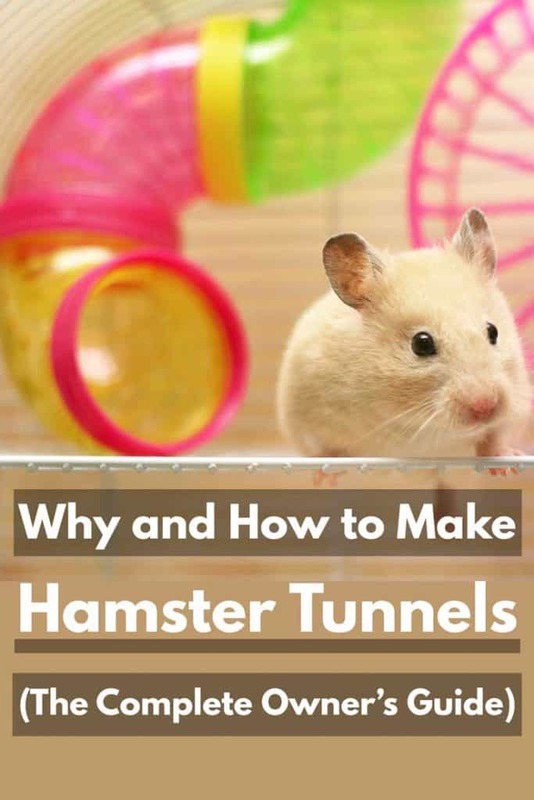 The idea of hamster tunnels is one that appeals to a lot of hamster owners for convenience purposes: more room to roam, allows you to connect cages, incredibly easy to make, etc. But after extensive research, I’ve found that there are many reasons your hamster will like these tunnels too. Tunnels allow your hamster to get in touch with their instincts – after all, they make systems of tunnels in the wild. Tunnels create an elevated comfort level by offering an environment closely resembling their natural habitat; something they wouldn’t have otherwise. Tunnels also provide our hammies with more space to roam and explore that a regular non-tunnel having cage might not. So, how to make these? 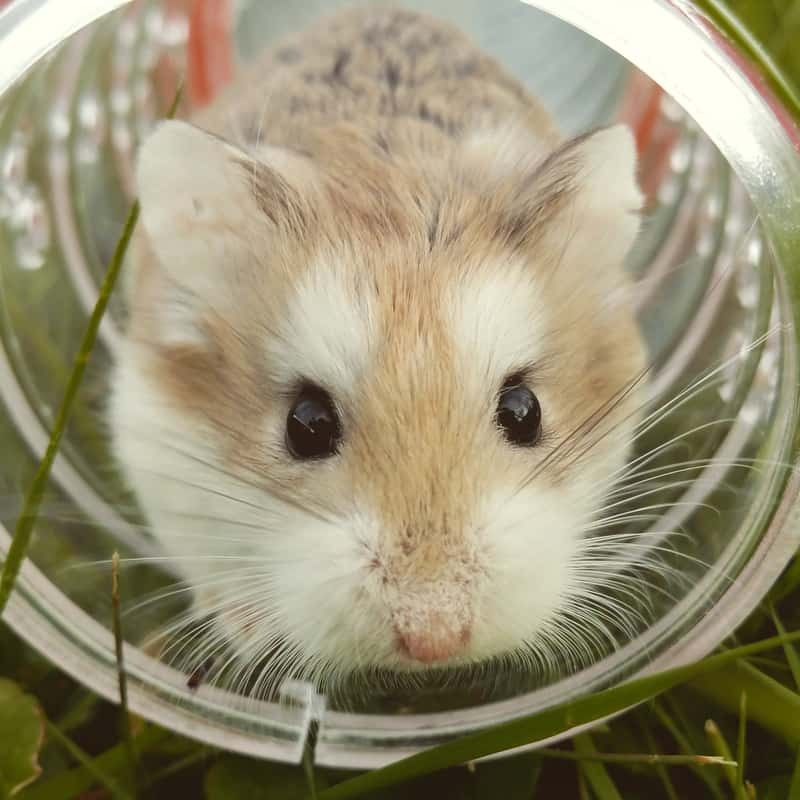 Hamster tunnels can be made with a variety of different materials for ultimate practicality: commercially made plastic, cardboard, and plastic bottles lying around the house. I understand that’s a vast amount of vague information to grasp in a single paragraph. Which is why I elaborate further on why you should make hamster tunnels and how later on in this post. Please read on and find out all you need to know about these must-have hamster accessories! The most straightforward and essential reason on the pro-tunnel side is tunnel building is apart of their instincts. In the wild, hamsters are notorious you building complex tunnel systems that help them navigate around their habitats. These tunnels provide them with a place to escape the sun during the day. Even with being from a desert habitat, hamsters don’t do well in the sun; these tunnels give them a place to shield themselves from it and sleep. When hamsters wake up from their daytime slumbers, these tunnels gave them away to travel safely. One of their dangerous enemies, the owl, hunts during the night and these tunnel systems help protect them from certain death. If it ever becomes too cold at night, hamsters also use their tunnels as a hibernation place to wait it out. Aside from keeping them safe, these tunnels have other purposes as well. Hamsters use them to store food and offer them a large enough area for breeding purposes. All hamsters need a lot of room to roam. Confining them to a small cage goes against all their exploring instincts. Adding tunnels into the mix gives them additional room to explore and taps into their natural behaviors. You could even use the tunnels to add in a second or third cage into the mix. If you leave them occupied to one small cage, there’s a high chance your hamster will become somewhat depressed. This limited amount of space would suppress their spirit and overall rambunctiousness. The primary living environment for a hamster’s life can be quite dull. If he/she wants to stretch their legs, there isn’t much for your them to do. It honestly becomes quite boring for both you and hamster. But if you add in tunnels, there will always be somewhere your hamster can adventure. 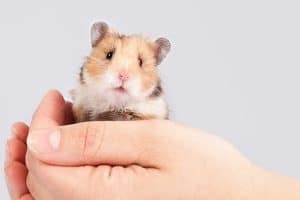 This adventure will include things like running and climbing, which will be great for keeping your hamster healthy and happy. It’ll also be fun for you to watch as a hamster owner. There’s little that’s more entertaining them watching a hamster scurry through a series of tunnels! The inclusion of tunnels will keep your hamster’s mind stimulated by giving them a new obstacle to conquer. It’ll provide them somewhere new to hide things such as food or treats and make them aware of where each tunnel ends up going. In other words, the tunnels will give them a set of directions to remember, which will keep their mind from becoming underused. If there isn’t something keeping their mind busy, there’s a chance they’ll become depressed and unfulfilled in their habitat. Think about it like this, would you like sitting in the same cage day after day with nothing, but a wheel to entertain you? I’m guessing the answer is no, and your hamster feels the same. So please, offer them some tunnels to give them something that’ll keep their mind active. I’ve given you plenty of reasons why making hamster tunnels is a good idea, but I haven’t shown you how. 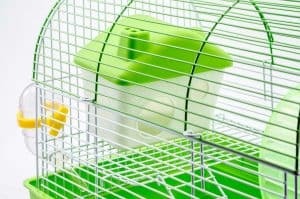 This section will rectify that by going over some creative ways to create these essential accessories for your hamster. There are numerous commercially made tunnel kits manufactured by pet product companies. These tunnel kits are a lot easier and less time consuming than creating your own. But it’s hard to find high-quality ones because of the vast options available. The other problem is most of these tunnel kits are only compatible with a cage made from the same company. If you’re a DIYer, these manufacturer tunnels won’t be much help to you or your hamster. This 94 piece tunnel kit gives you a vast variety of path options for your hamster to explore. The plastic material it’s made with is incredibly durable and will last for a long time. Recommend to only be used with the GNB Pet Super Large Hamster Cage or GNB Pet Ultra Large Hamster Cage. The Habitrail OVO Adventure Pack is a unique set of tunnels that are customizable to your liking. An added plus is several customers praised how cleanable it’s compared to other tunnel kits. Recommend only to be used with the Habitrail Cristal Hamster Habitat. These two options are roomy enough for even the biggest of Syrian Hamsters. It should be noted these commercially made tunnels used to be only safe for dwarf hamsters. If you have a Syrian, please be sure the tunnels are big enough that they won’t get stuck. Homemade cardboard tunnels might be my favorite option on this list. But these tunnels aren’t meant to connect cages as hamsters can quickly chew through cardboard. 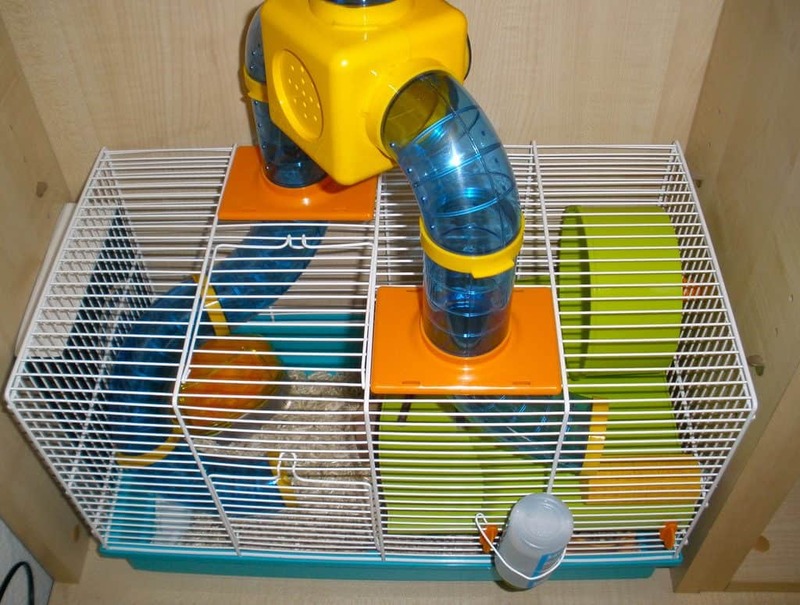 These tunnels instead should be used to enriching adventure inside a single cage or in a safe play area. The following guide will teach you how to make a maze using tunnels that are made from cardboard! Toilet Paper Rolls: empty toilet paper rolls will be incredibly useful because they’re sturdy and big enough for most hamsters. These rolls will make excellent connectors as we construct our maze. But before you start following this guide, please make sure your hamster can safely fit through them. Paper Towel Rolls: the empty paper towel rolls will be used for making larger sections of the maze. Using these tubes will save a massive amount of tape and time during the tube assembling process. Tissue Boxes: a tissue box will be the perfect item that you can add your tubes onto during this project. This makes them incredible places to play your hamster’s materials: bedding, shredded paper, and toys. Scissors: you’ll need scissors to cut holes into both the tubes and tissues boxes. Non-Toxic Paint: used for decorating the tubes in case you’re feeling creative. Writing Instrument (pen, pencil, sharpie, etc. ): will be used to trace holes where you’ll need to cut. Tape: you’ll need it to put the tubes together. Find an appropriate play area where you can safely keep the maze. I’d recommend a play area where you already take your hamster out. You could also use the main cage itself; however, a cage is rather small might only be able to fit a few tubes. You could also do both! Seal the maze off as best you can to avoid the nightmare of your hamster escaping. A place like a bathtub is an incredible option just make sure you block the drain, and the water is turned off. You’ll want to set the tissues boxes up first. These will be the corner parts of your maze. It’s kind of like a puzzle where you start with trying to find the end pieces. Once the corners are set up, line up how you want the tubes to fit together. 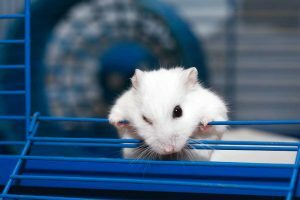 You should include some twists and turns to keep your hamster guessing. Another thing to remember is your hamster needs space to turn around. You could also add levels by elevating some of the tubes. Step 3: Time to Decorate Your Tubes! Nobody likes that awful brown cardboard color, which is why you should paint the tubes to fit your particular style. It’s essential you make sure the paint is non-toxic before you use it as we don’t want any sick hammies. I’d recommend following some theme such as Christmas or Halloween colors. It’ll brighten the maze up and give your hamster’s life some color. Trace all the holes where you’ll cut into the boxes and tubes. You can place one end of the tube onto the box and outline it to ensure it’ll fit. You could also create offshoots and exits from the boxes and large tubes by cutting holes into them. An example would be you might want two longer tubes parallel to each other connected by a short toilet paper tube. This would require cutting a hole into the side of both larger tubes. Cut all the holes you just traced. I’d recommend using a craft scissor or knife as it will be incredibly unlikely you’ll cut a hole too large or small with either. If you do cut them too large, you could give your hamster an escape route or cause the maze to collapse. So please, be careful. Fit all the tubes into their respective holes. Tape them up with several layers of tape to ensure the maze is sturdy. If a tube is going inside a hole, you must make sure there isn’t a lot of space around the hole; if there is, you can fill up the space with extra pieces of paper towel or extra tape. Gently place your hamster in the maze and let them explore. Be sure you observe them to ensure they don’t escape. If your hamster is having issues understanding the tunnels, try enticing them by placing treats throughout the maze. Another treat for you DIYers is that you can make homemade plastic hamster tunnels as well. These handy plastic tunnels can be used to connect cages with the right placement and construction. The following guide will teach how to create a hamster maze only using plastic water bottles. Pretty cool, right? Empty Water Bottles: the material that the tubes will be made out of and your hamsters will safely travel through. Craft Knife: will be used to cut off the tops and bottoms of the bottles. Scissors: will help cut into water bottles. Electrical Tape: ensures your hamster’s safety by smoothing out the jagged edges of the water bottles. Grab all your water bottles and wash them out. You don’t want your hamster to end up smelling like whatever liquid was the previous resident inside that bottle. You should also remove the lids and labels as they have no purpose or usefulness in this project. I’d start with four bottles and see how far that gets you before adding any more. Try locating different color bottles to heighten your maze’s color palate. Take your craft knife and cut off the top and bottom of each bottle. Please make sure you do the cutting on a solid surface to reduce the risk of injury. The kitchen counter would be a solid example of an appropriate place. You’re left with a bottle with slightly jagged edges, which is where the electrical tape becomes a key factor. This tape will cover these edges to ensure your hamster’s paws don’t get hurt. You’ll need to take short strips of tape halfway down onto the rim of the bottle. Take out your knife and make cuts 1 cm apart into the tape, then stick it down on the other side. Doing this will help the tape stick better around corners. After you do this to all the bottles, move onto step 4. Use your knife to cut an “x” into the side of one bottle. Peel the plastic back carefully. If you don’t, the plastic will rip, and nothing good comes of that happening. The peeling back will make it easier for the scissors to slip in and cut a circle. Once the cutting is done, repeat the process laid out in step 3 to cover the edges of the circle. Take the second bottle and squeeze the bottle as flat as you can. Cut diagonal lines across both the bottom and the top. These diagonal lines will create a curve where the first bottle will sit comfortably. Then, use that same piece of tape to go all way under the horizontal part of the “T” until it reaches the other side. If this sounds confusing at all, it’s really just using tape to make sure the “T” formation stays in place. Position both sets of “T” formations in a straight line and tape them together. These tubes should line-up rather easily. But if they don’t, mix and match the other ends see what configuration is the easiest to attach and tape them together. After all this reading, I expect you should have some new ideas about adding tunnels into your hamster’s life. I hope I’ve convinced you why these accessories are a much-needed part of keeping your hamster happy and healthy!